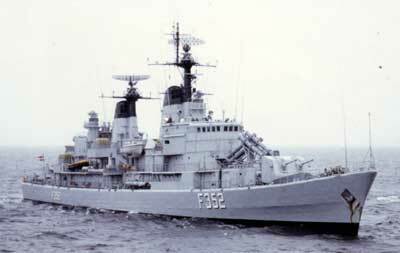 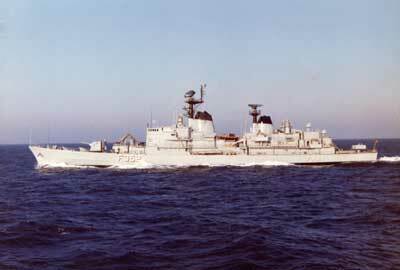 The frigate PEDER SKRAM after conversion with guided missiles. 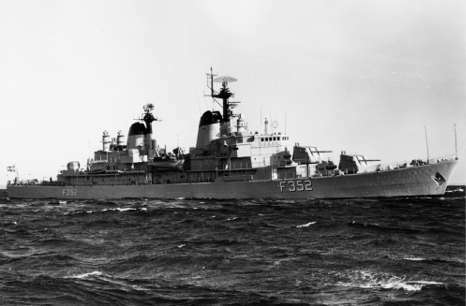 The frigate PEDER SKRAM with her original armament. 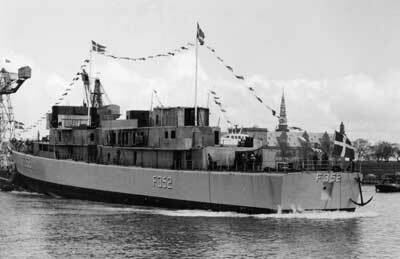 The frigate is launched at Helsingør Skibsværft May 2, 1965.